Fisetin, a plant active polyphenol, is well known for its antioxidant and free radical scavenging activities. The present study was designed to explore the detailed molecular mechanism underlying its neuroprotective effects. 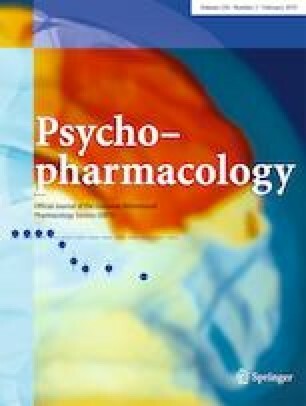 The young male mice were either administered a single dose of lipopolysaccharide (0.83 mg/kg) or subjected to restraint stress (6 h per day for 28 days) to induce behavioral deficits in different groups. Fisetin (15 mg/kg) was orally administered for the last 14 days of the study. Lipopolysaccharide (LPS) as well as restraint stress (RS) exposure caused behavioral alterations (anxiety and depressive-like behavior). Gene expression analysis showed upregulation of nuclear Factor kappa-light-chain-enhancer of activated B cells (NF-κB) and indoleamine 2,3-dioxygenase (IDO)-1 gene expression along with downregulation of Nrf-2 (nuclear factor erythroid 2-related factor 2), HO-1 (heme oxygenase-1), and ChAT (choline acetyltransferase) gene expression level in RS and RS+LPS groups. Fisetin administration significantly ameliorated behavioral and neurochemical deficits in LPS, RS, and RS+LPS groups. These findings clearly indicated that fisetin administration improved behavioral functions and suppressed the NF-κB and IDO-1 (indoleamine 2,3-dioxygenase) activation along with their antioxidant effect, suggesting fisetin as an intriguing nutraceutical for the management of inflammation-associated neurological disorders. The authors are also grateful to SBT Hub, College of Veterinary Sciences, Guwahati for providing technical support. Authors would like to thank the National Institute of Pharmaceutical Education and Research (NIPER), Guwahati for financial assistance. All the experiments were carried out in accordance with the regulation of Committee for the Purpose of Control and Supervision of Experiments on Animals (CPCSEA), Government of India guidelines.